SO very excited to FINALLY be headed to bring our little man home!!! Thanks Adoption Airfare for getting us such a great deal on our airline tickets!! Can’t Wait to see my BOYS! CANT THANK YOU ENOUGH!!!! Im not kidding. You are the best and I already have told everyone about you and will continue to do so!!! Love ya lady! Thank you so much in getting us the flight that works best for us to Ethiopia! Your patience with us is so appreciated, I know we made the right decision booking with you! PRAISE THE LORD!!!!!!! THE FAMILY WITH THE SON NEEDING TO LEAVE FOR SURGERY GOT THEIR EXIT LETTER AT THE LAST POSSIBLE MOMENT!!!! They are at the hospital getting his last dose of medicine before the flights. He is stable to fly but there will be a mad dash to make their flights. PLEASE PRAY THEY MAKE THESE FLIGHTS!!!! Two miracles down and one to go! TESTIMONY TIME!!! Just this week, we had a mom call to let us know she was ready to come home from Ukraine and needed flights for a really close departure date this week. All I was finding was around 1700 per ticket for the exact date she needed. So, I set it up and she was going to go with it if that was all there was. We continued looking and I had one of our agents checking on this and he came back with an option that was almost 1000 cheaper per ticket!!! SO, I set that one up instead, and she BOOKED that flight and was almost in TEARS that we were able to help her with her tickets home and get her such a great fare. PRAISE THE LORD!!!! I am so thankful for our team of agents behind the scenes, who keep looking until we find the best fares for our families. THANK YOU! MY HEART JUST BURST INTO TEARS OF JOY!!!! COOPER AND HIS FAMILY ARE ON THEIR WAY HOME!!! THIS IS A PHOTO FROM TODAY IN LONDON WHERE WE HAD THEIR FLIGHTS ARRANGED TO HAVE THEM MEET IN LONDON, (COOPER FROM THE HOSPITAL IN SOUTH AFRICA AND MOM AND TWINS FROM UGANDA) ALL TO ARRIVE HOME TOGETHER!!!! THIS IS A MIRACLE!!! OH LORD, YOU ARE SO AWESOME!!! TEARS OF JOY FOR THIS AMAZING MIRACLE AND HOW GOD ALONE CAN HEAL AND BRING FAMILIES TOGETHER. REJOICE!!! HE HEARD AND HE ANSWERED. BLESSED BE THE NAME OF THE LORD! GOD IS STILL WORKING MIRACLES!!! DRC FAMILY IS COMING HOME!! 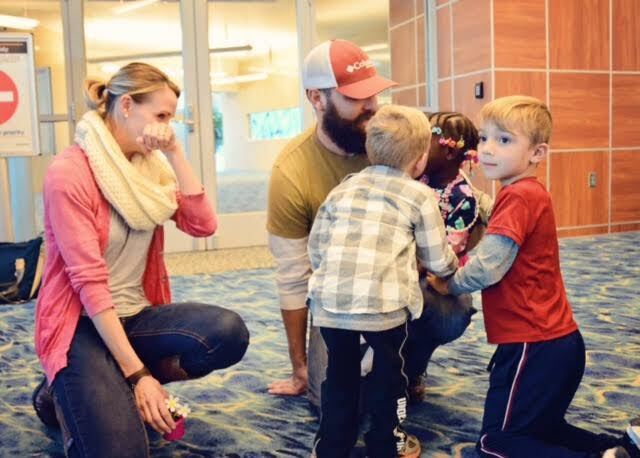 Two of our agents were working as a team to get a family out of the DRC before Thanksgiving (Jeff and Katie) – Katie Taylor, is just in TEARS right now, because they just got their exit letter in hand and the 4 seats they needed we were able to find for them and they were the LAST 4 SEATS!! Here is what Katie had to say about this miracle of GOD!!! “This has been touch and go for weeks now ¦I don’t know why I doubted that God would see it through! I mean, airline fares are NOTHING for HIM! BEAUTIFUL SURPRISE TESTIMONY!!!! WELCOME HOME TO THE OGDEN FAMILY HOME FROM INDIA!!! What a beautiful testimony of God’s faithfulness!!! 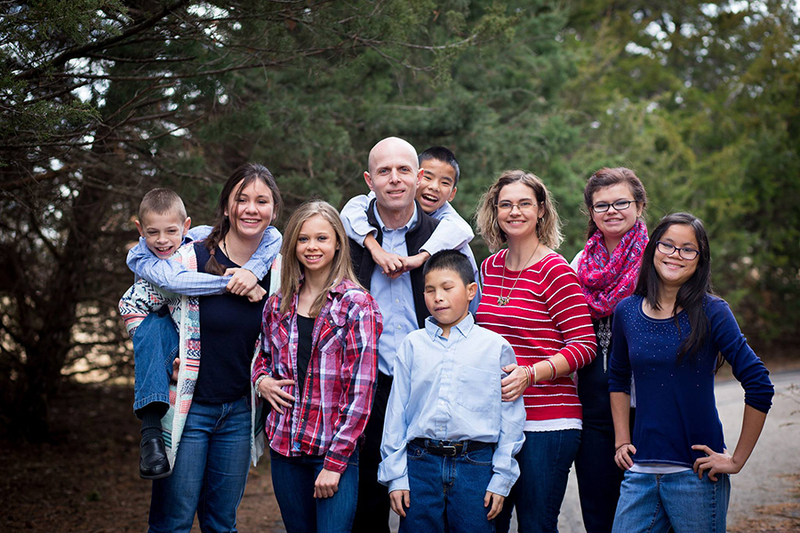 They first saw their three daughter’s faces on Valentine’s Day 2013, and they have been waiting and praying, and SO excited to one day bring them home, when the received the shocking news that their daughters were given to another family…. 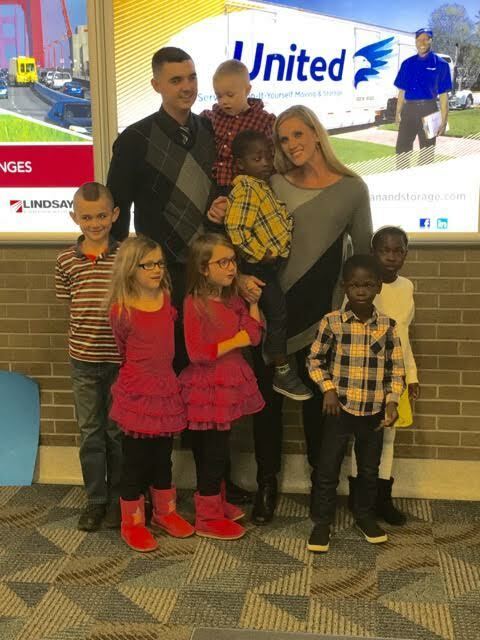 so they totally surrendered them to the LORD, and to their SHOCK, after waiting for another child from India… The other family declined the 3 girls and they were able to get their girls after all!!!! What a blessing to see GOD’s Sovereign hand upon this family. Thank you for allowing us to serve you with your flights!! WHAT A BEAUTIFUL SURPRISE!!!! We are SOOO excited to WELCOME HOME Khushboo, Kashila and Rabina! Leaving today with the airfare that you so graciously helped me get the best price for! I am so blessed to have your support in my life! Thank you for being a part of God getting me overseas! You are awesome, and I am so thankful for you! With everything going on in preparation to head out on Friday I am so glad that you are handling our flight portion! Thanks so much!!! Blessings to you & your family! Tabitha, I cannot thank you enough for your help to get us home last week. You were such a gift of God to us. We were so happy to be home a day early and see God’s providence in it all because (NAME REMOVED FOR SON) was sick and needed to get to the Dr. Thanks for taking the time, making the calls, and helping us. You were a true blessing. I don’t know if we ever thanked you for getting Kev & Ken those airline tickets. Kevin said that the airlines to HK was one of the best experiences he’s had, they were just wonderful. Not sure yet about the flight into Nepal:) Thanks for all your love, support & prayers. You guys are wonderful! I had zero complaints of either airline either trip. However……when looking into tickets for this trip, we saved $700-$900 by going through Adoption Airfare and flying Lufthansa again! Just booked some fabulously-priced tickets with Adoption Airfare for Uganda. Nearly unbelievable! Working on flights for Guatemala and Guyana teams! So thankful for Tabitha Lovell for working with us! One of the families I helped had their flight cancelled out of Hong Kong because of a typhoon. Flights were on Cathay Pacific and American and one of the airlines wasn’t being cooperative. We prayed for the Lord to get them home. And, He not only did, but Cathay Pacific guaranteed them home on an itinerary that they could not have afforded and they got home 6 hours ahead of schedule!! God is so good! The weekend flight they wanted was completely full, but that had an early Friday morning flight with availability, but the prices were ASTRONOMICAL!!! I emailed Dina, and she decided to book the Friday morning flight by faith — after all, God could get the visas there in time to make the cheaper flight, right?! We prayed the documents would be there in time. 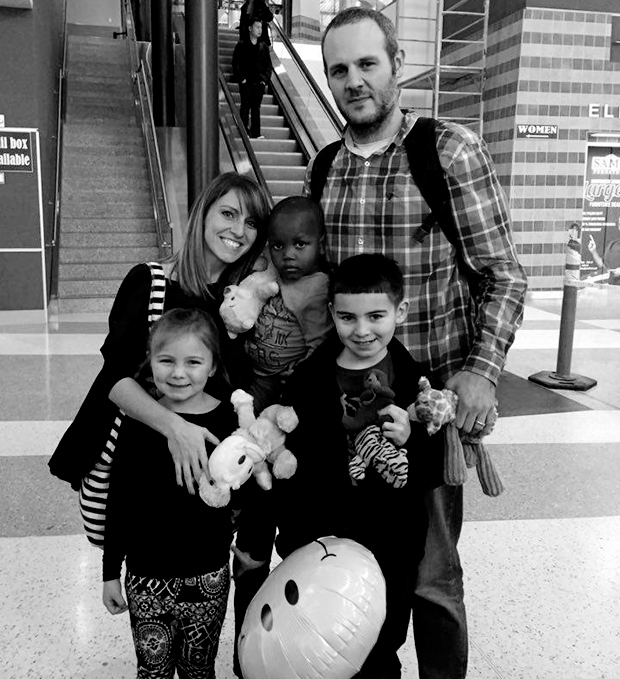 Sure enough…God provided the seats, the right price, AND the visas that this family needed just in time! This message is sorely overdue, however we just celebrated our son’s ‘Gotcha Day’ and as I was reflecting on the blessing that he is to our family, I thought about how you, too were a blessing to us when we traveled to bring him home… As with many families, travel for international adoption comes with little notice, few options, and hefty costs. When we learned that we were approved to bring our son home from China we were overwhelmed with joy, but also didn’t know where to begin in booking our travel. By the grace of God, we found you and you were were able to accommodate our complex travel needs seamlessly. More importantly, however, you gave us reassurance every step of the way, and your kind and caring demeanor made us feel that you were on this journey with us. This life-changing experience wouldn’t have been as amazing without your contribution, so from the bottom of our hearts, thank you; you have a true gift! Read this true story of George Mueller who prayed in the provision for his orphanage. Praise GOD for the opportunity we have to seek the same GOD who did this for these orphan children is ALIVE and WORKING MIRACLES even now for our families and ministries we are serving with their Adoption Travel and Missions Travel needs! Thank you for joining with us continually in prayer for our traveling families. Please stay in touch with us on our FACEBOOK PAGE where we post prayer updates and testimonies of our families and missionaries traveling all over the world. Please contact us directly with any questions or travel needs.